Here, with increasing usage of Exchange Server 2013, the user’s mailbox gets overloaded with collection of emails in their mailbox. Hence, it becomes complicated for most of the users to control the performance with such oversized mailbox. Thus, we need to recover the data to the Mailbox in Exchange 2013 server by maintaining the backup. It is a reliable method for planning security that deals with Protecting an Organization from the negative outcomes. 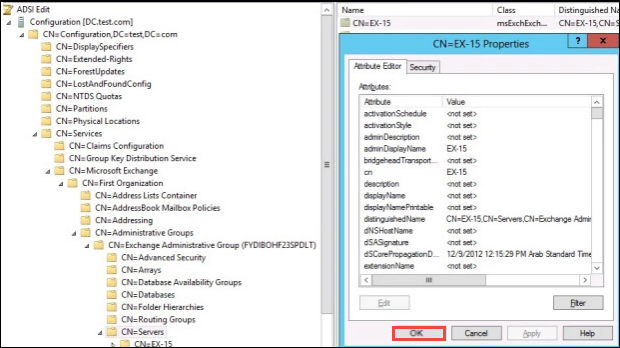 In this section, we will discuss to recover Exchange 2013 mailbox database with an efficient solution. To restore the mailbox from recovery database which involves generating a restore request by using New-MailboxRestoreRequest from Command Window. Including other parameters to handle such situations like including or excluding specific mailbox folders, handling corrupted items, conflicting resolution, and so on. Let’s take a view to demonstrate regarding recover Exchange 2013 mailbox database. The following scenarios have discussed to restore the mailbox. In this script “Josh” has lost all sent items older than 3 weeks, on this situation they are unable to restore the items from recovered files folder. According to this, finally, he has got 869 items in his sent items. To restore or repair the sending items from recovery database then, we have to create a mailbox request to restore the files. We have noticed to monitor the progress to repair request using Get-MailboxRestoreRequest and Get-MailboxRestoreRequestStatistics. During, the restore progress goes on a user may be interested to know the status of items that how many items are transferred in total. When the restore has completed the status will showing as “Completed”. Suppose, a staff member has left out the organization for some months or years, then they have been re-hired, and they have tried to access their old emails, contacts, and calendar items back. Now, due to the deleted mailbox when they have left the organization their new mailbox is empty on arrival. A recovery database is created from a backup while the original mailbox still existed in it. The new mailbox restore request is using to repair the entire mailbox contents from a recovery database. Just because the LegacyExchangeDN is different for a new mailbox and in addition, AllowLegacyDNMisMatch parameter is needed to allow the restore to happen. This will same if a user has tried to restore a person’s mailbox data into a completely different individual’s mailbox. We have notified that completed mailbox repair requests are left in place and are not automatically removed. By using Remove-MailboxRestoreRequest command to remove the request of completed restore mailbox. Most of the user never know when their mailbox might get terminated or hack, as well. 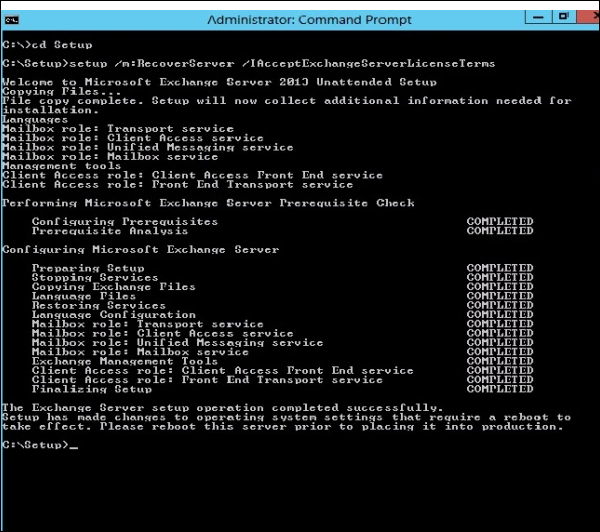 Thus, the best way is to recover mailbox from Exchange 2013 database. To repair or restore deleted mailbox in Exchange 2013 a user needs to maintain the backup for future reference. It is quite simple for Exchange users to backup all mailbox data in trash and spam. We have done the new operating system with all the Pre-requisites installed on new server. After considering the manual steps those are including to recover Exchange 2013 mailbox for maintaining the backup of all the files. It is the quite complicated task. Thus, most of the users want to go for most efficient recovery tool i.e., Exchange EDB Recovery Tool. Moreover, it is able to recover damaged and corrupted .edb files. Also, it has supported to open & view .edb files independently and no need to install MS Exchange server environment. 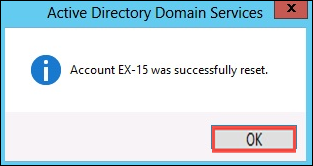 After discussing some points to recover Exchange 2013 mailbox and consider the various scenarios to restore Exchange 2013 database. The article focused on the requirement of recovery software to recover the data items present in the corrupted or damaged mailbox. 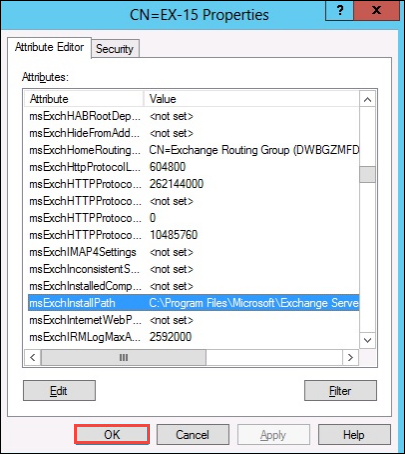 Also, enhancing the performance using ADSIT EDIT Tool and gives the command regarding Exchange 2013 remove recovery database.